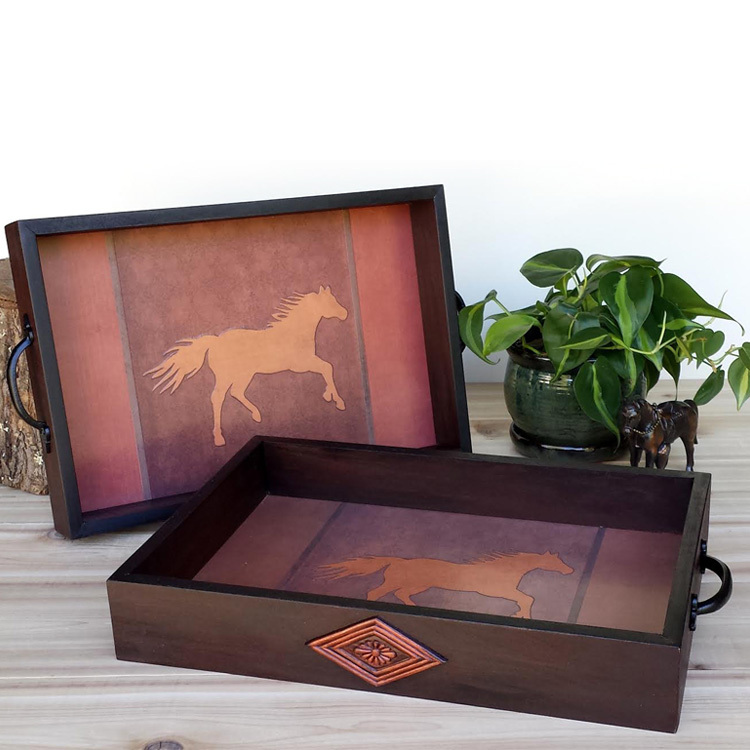 Great gift for the equestrian or horse lover! 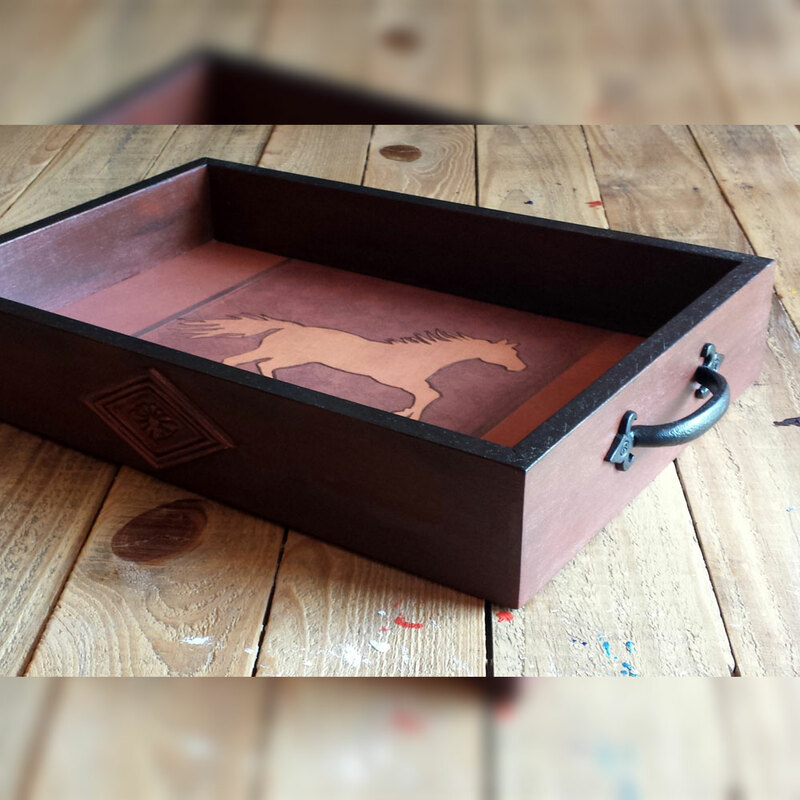 This wooden serving tray has equestrian style to spare. 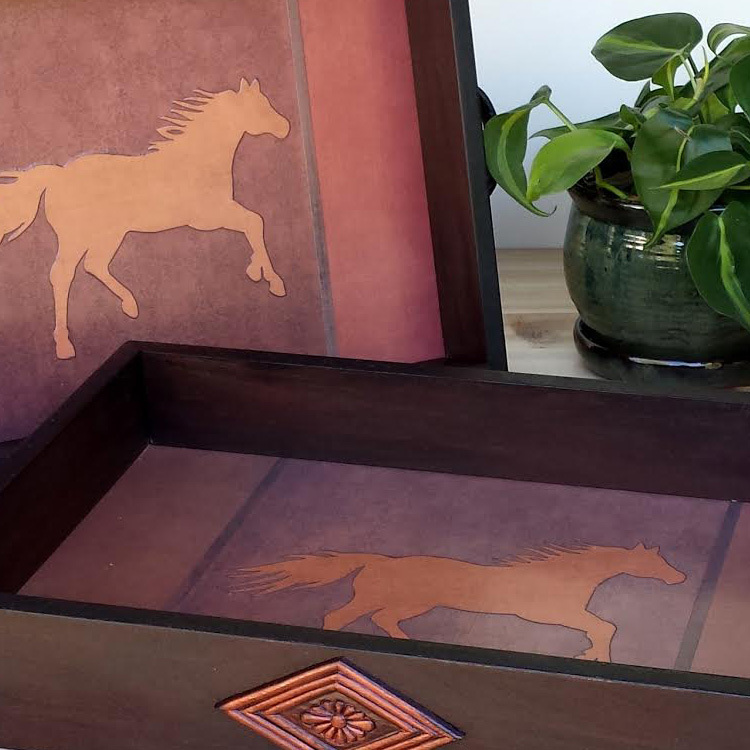 The tri-panel design in dark and medium browns will remind you of the dark leather of your favorite saddle. Use it in your kitchen or on your ottoman or coffee table. The bottom design is applied by hand in four papers; a rich, dark brown print is centered between borders of a rusty, chestnut brown. 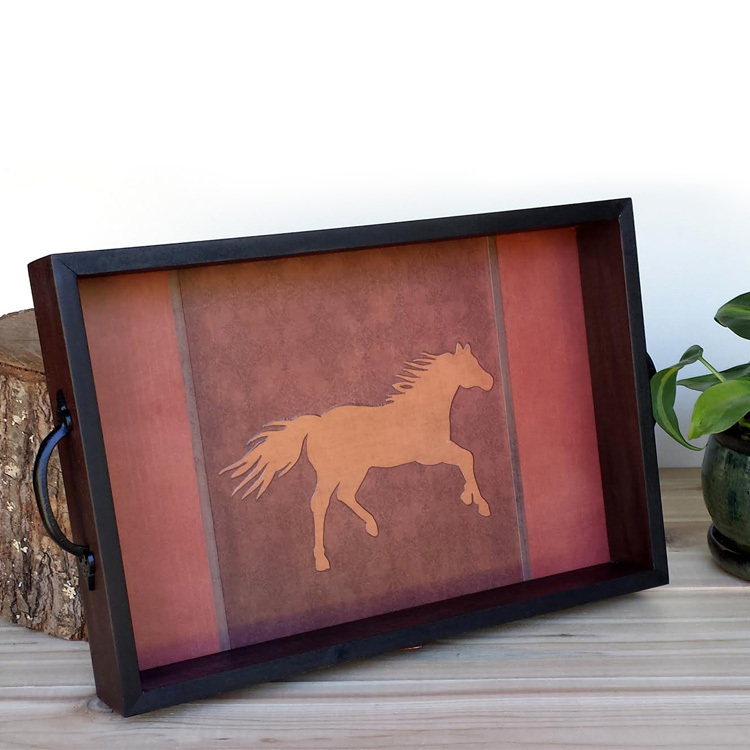 The original running horse silhouette is hand cut from a deep orange. The center panel is outlined in a chocolate brown. 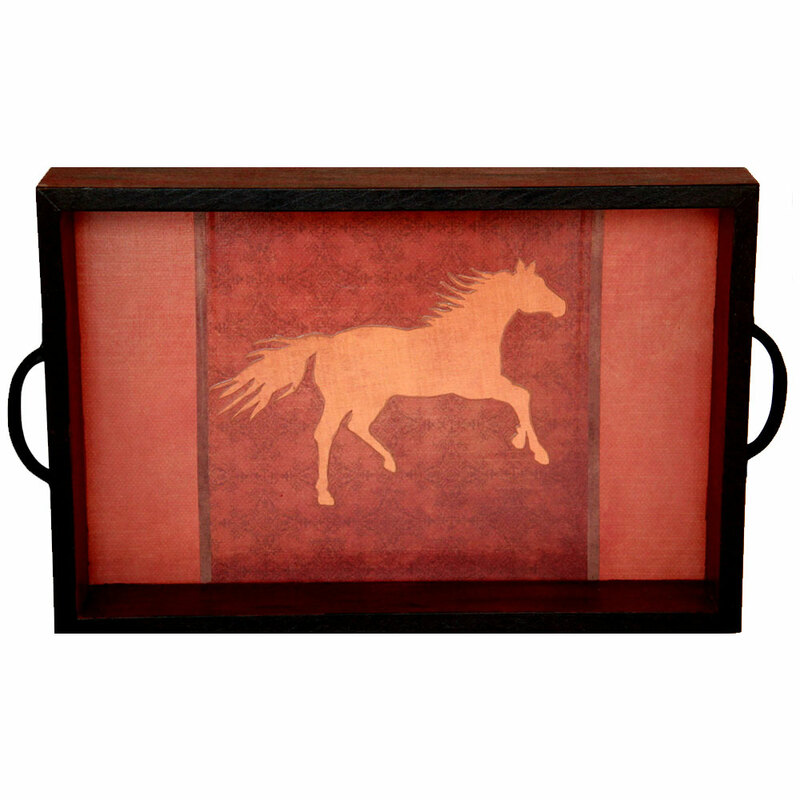 This wood tray has solid wood sides that have been painted in a layered dark brown color. The upper edge of the tray sides are painted in black and the inner sides are done in the same layered dark brown as the outside. This nicely frames and sets off the colors on the bottom of the tray. 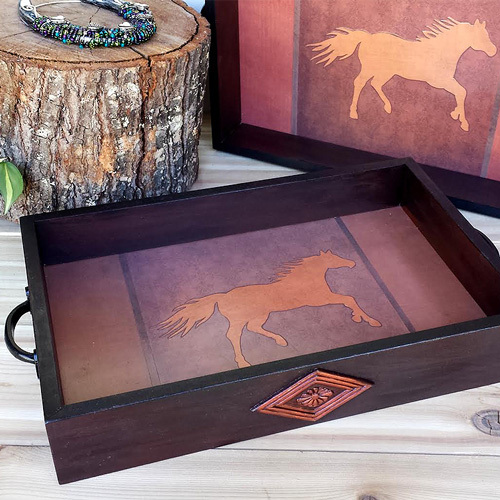 Black iron handles are attached to each side of the wood serving tray to make it easier to carry your favorite drinks from kitchen to table. A pressed wood embellishment dresses up the front side and is highlighted in copper metallic. The underside has been painted to match the sides. Dimensions: 10" x 15" x 2.5"